In order to operate the website that we do, it is necessary to collect PII (Personally Identifiable Information). This document will outline how this data is collected, why it is collected and how it is protected. The only data that you will be asked to provide to the website will done through the web interface, in other words – you will not be contacted by phone or in person for any additional information. All data is submitted voluntarily either through forms or dive logs and done at the will of the user. The most sensitive information that we collect is the Divers Qualification Information. We do this in order to validate that they are legitimate Scuba Divers which in turn gives them certain rights & privileges. We are looking for a network of legitimate divers that will contribute to a meaningful and relevant dialogue. The only other piece of personally identifiable information on the website is the Date of Birth – something that we store as an additional precautionary measure to identify you in case of a password loss/account lock out. All other information is directly relevant to the nature of the interaction that you would like with the website and how you would like to use it. 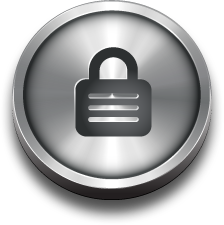 As far as possible we use SSL for transmission of all sensitive data such as account settings and Dive Log entries. Our servers are dedicated and have no 3rd party access other than the ‘Hosting Company’ staff itself. We have an implemented culture of security & privacy which involves regular self audits, password resets and employee integrity. We will never sell or share your private information with any 3rd party unless consented explicitly by you – for example when you connect DiveAdvisor.com to your Facebook, all information shared with Facebook becomes part of Facebook’s responsibility. We promise to keep complete integrity of all records & private information at all times. We are in compliance with the COPPA, we do not collect any information or anyone younger than 13 years old. The Policy outlined above is relevant only to all information collected and used through the web and not any offline activities that individual clients may have with DiveAdvisor.com (for example: Advertising, Sponsorship or Dispute related information).